AdvanDate is pleased to announce the release of version 12.2 of the iCupid Dating Software Solution. 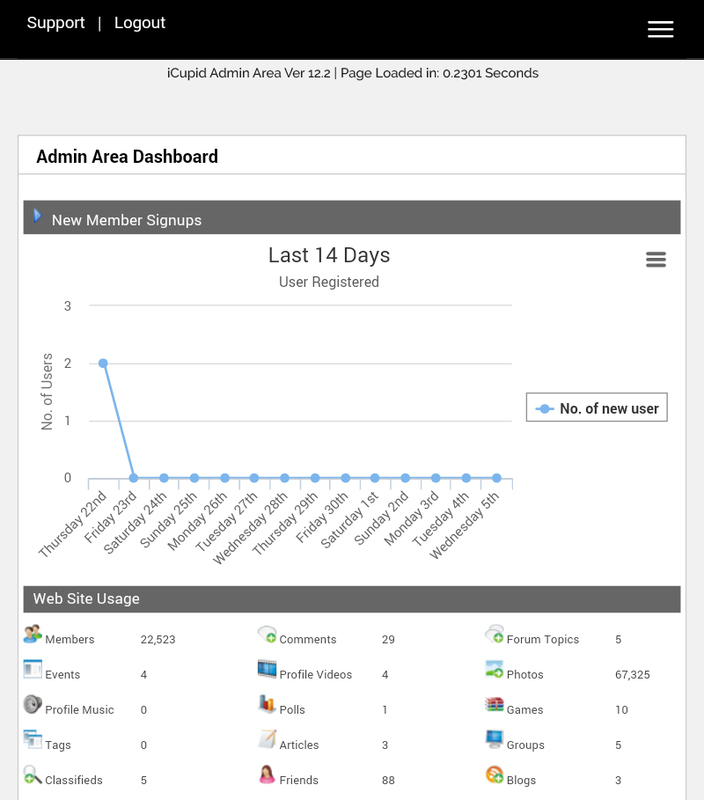 Now complete with a brand new, fully responsive admin area. Not only is the admin now fully responsive but we’ve made a bunch of tweaks and enhancements. Some of those include changing the load time on the admin area when you login. Now you’ll find that the admin area loads faster. Previously we optimized the database on login and now this has been removed and database optimization is done in the background when a process from the admin is not being done. Other enhancements include making css changes on some of the user side areas. These include profile view, winks and emails. This was due to some users reporting that some of the verbiage from the sent winks, friends list and hot lists were not showing all the text after confirmation. This has been resolved. We also make some adjustments to the responsive templates. Some users reported that some pages did not load properly on Windows phones so we made a couple adjustments for those. These changes and enhancements make up version 12.2. Existing customers can find update instructions for 12.1 to 12.2 here on our Update to 12.2 page.